A Greg Tansey penalty salvaged a point for 10-man Inverness against Dundee in the Ladbrokes Premiership. Rory Loy put the visitors in front from the spot after David Raven had been dismissed but Tansey replied with a penalty of his own to earn the hosts a 1-1 draw and snap their three-game losing streak. 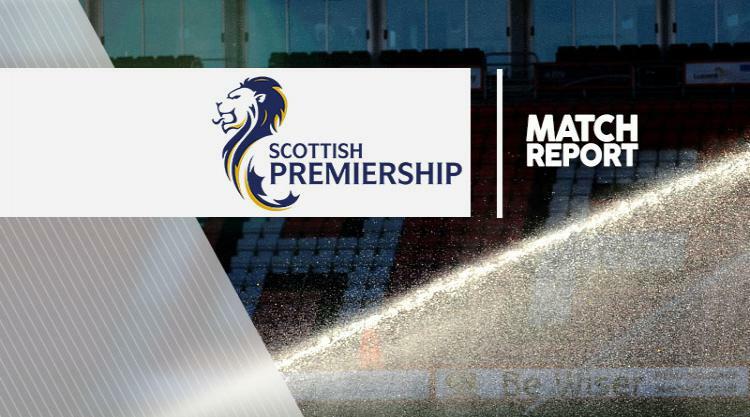 Inverness made one change from the midweek loss to Ross County, replacing the injured Miles Storey with Danny Williams. Gary Warren made his long-awaited return from injury on the bench and there was a place for teenage youth player Andrew Macrae. Dundee made four changes from the loss to Kilmarnock a week ago. James McPake, Daryll Meggatt, Kane Hemmings and Gary Harkins were switched for Thomas Konrad, Kostadin Gadzhalov, Nicky Low and Paul McGowan. Neither side started the game with any great urgency as Inverness were content to hold on to possession in their own half. Greg Stewart saw a half-chance blocked before Ryan Christie, paired in a makeshift strikeforce with Williams, had the ball cleared from him by Konrad before he could get a shot away. Caley Thistle's Christie picked out the head of Danny Devine from a free-kick but he planted his header straight at Scott Bain. A disallowed goal from Josh Meekings was the hosts' main opportunity against a Dundee side who offered little in the way of goal threats in the first half. But just four minutes into the second half Inverness were behind - and they could have little argument about it. McGowan's through-ball found Stewart through on goal and just as the former Cowdenbeath man was primed to shoot, Raven barged him to the floor. The Inverness skipper saw red for the infringement and worse was to come for the hosts as Loy sent Owain Fon Williams the wrong way from the spot to give Dundee the lead. In need of inspiration and some good fortune, Caley Thistle got a way back into the game when Kevin Holt felled Christie just inside the penalty area, after a similar appeal was waved away when Liam Polworth went down. A man for the pressure situations, Tansey rolled the penalty just beyond Bain's grasp to restore parity. The visitors were still creating and only two saves from Fon Williams, denying Rhys Healey and Hemmings, kept the scores level. A glorious chance came and went for the home side in the last 10 minutes as Polworth thrashed Meekings' centre wide - but even Warren's return could not push Inverness over the line.